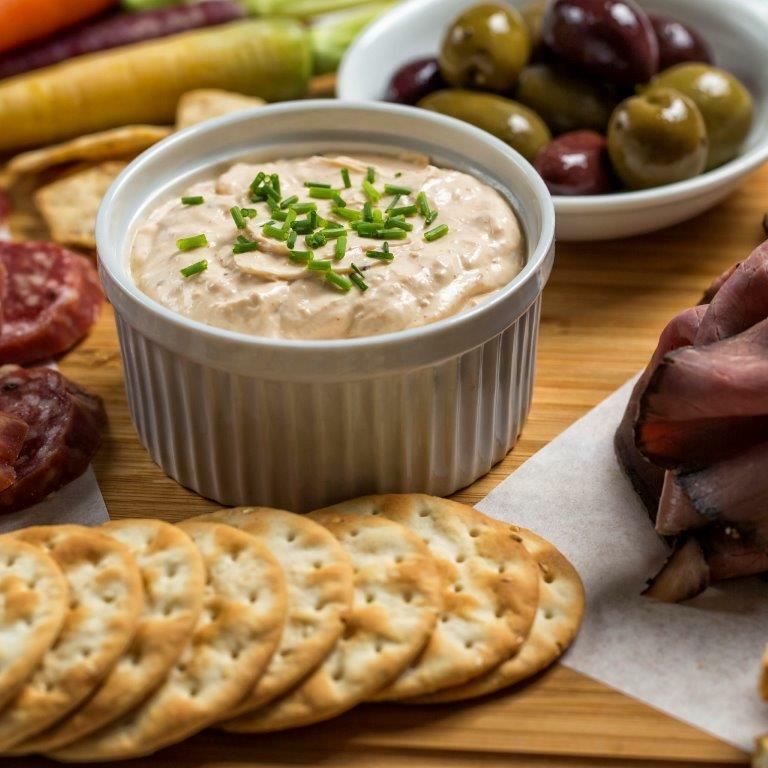 Whip together with a mixer the cream cheese, mayonnaise and Ring of Fire ® Chipotle & Roasted Garlic Hot Sauce until creamy, smooth and all the ingredients are well blended. Refrigerate until ready to use. Great on a roast beef sandwiches, on crackers or as a dip for vegetables.